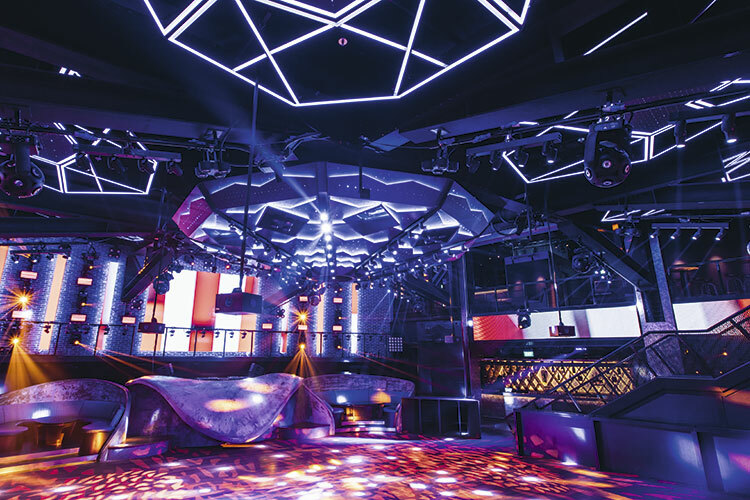 Singapore’s longest running entertainment institution, Zouk Singapore, has recently unveiled its much-anticipated relocation to the nightlife and entertainment precinct in Clarke Quay. Retaining the original sound system that was custom created by the renowned late audio engineer, Gary Stewart, Zouk and Phuture will continue to provide the warn and crisp quality sound that Zouk has always been known for. Recalibrated on a yearly basis for up-to-date configuration personally by Stewart and now by the Zouk sound team, the sound system is a one-of-a-kind creation that is specially equalised to suit all genres of dance music. On the dancefloor at Zouk, four GSA stacks have been reinstalled. Each stack comprises twin 1,000W 18-inch subwoofers, a quad 3,600W 15-inch cabinet, and twin acoustic lens HF/UHF mid-range horn loaded with two coaxial neodymium compression drivers. Four GSA custom-built bullet tweeter arrays are also flown over the dancefloor. For live mixing capabilities, a DiGiCo SD11 has been installed. It was chosen for its excellent function to size ratio. It has all the features required to manage the live performances at Zouk and can be set-up quickly and easily as needed, yet is compact enough to store when it’s not in use. 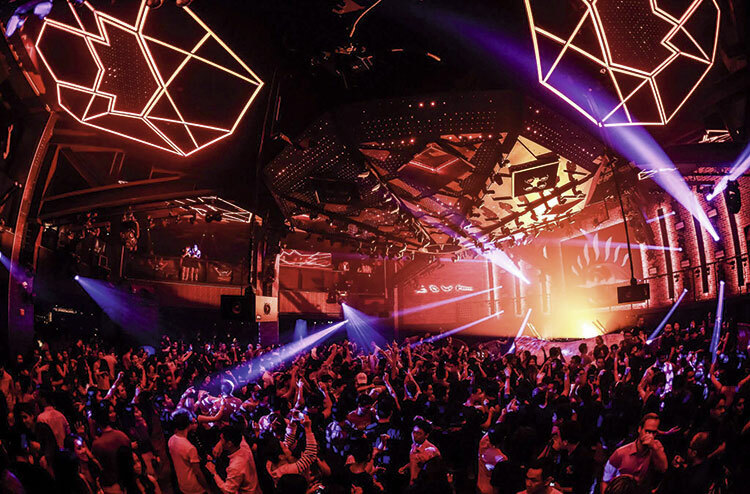 “We also have an iPad remote app that allows us to connect to the console through a wireless system, so we can tweak the settings from anywhere within the venue,” said Rexx Lim, Technical Manager at Zouk Singapore. 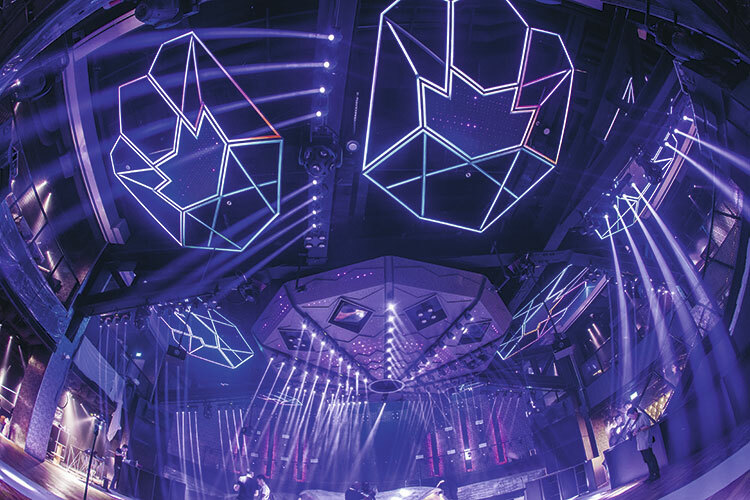 Mimicking the original venue, clubbers enter Zouk through a tunnel, the new one purposely lit and sculptured in a dramatic fashion to offer guests a glimpse of what lies ahead. The answer? The mothership (or UFO as it is also referred to) – a modular sculpture with a kinetic laser light system, based on a decagon configuration dressed with LED technology and narrow beam mini moving lights. The centrepiece is suspended above the dancefloor and was realised by Barcelona-based lighting design firm, LEDSCONTROL, with the idea of creating a sensational focal point that could bring about cosmic immersion of light and dance. “We approached this project by constantly asking ourselves how can we create an icon for Zouk, how can we create a standout piece that will be representative of the club’s new home while retaining it’s identity,” said Rebeca Sanchez Pastor, Co-Founder and Director of LEDsCONTROL. Designed to be liken to a central mothership of lights, the structure is surrounded by eight perimeter pieces that are shaped like arrows that are intended to draw in the crowd. It features more than 120 light patterns across a 360º view, resulting in an infinite possibility of lighting combinations. Intelligent moving lights are also hidden in and around the mothership, these include: 32 ADJ Event Bar PROs – a four-head pinspot system distributed inside the structure and act as the main beams for the venue; as well as eight ADJ Asteroid 1200 spherical LED lights and 16 Robe miniPointes. Completing the line-up of moving lights are Clay Paky Alpha Beam 700’s, Clay Paky Alpha Spot 300’s, Elation ACL 360 Bars, Martin by Harman Rush MH8’s, and Robe DL4’s on the balcony perimeter. An MA Lighting grandMA2 Light console is in place to control the intelligent lighting fixtures. Rebeca explained the reason for the choice: “As one of the top clubs in the world, Zouk Singapore is very active in bringing in the big names from the dance music scene, so we recommended using a lighting console features regularly on international riders. Of course, we also took into consideration that it was a console that could fulfil the needs of the venue.” A Chamsys MagicQ MQ100 Pro desk and a Chamsys MagicQ MQ60 console are also in place at Zouk.